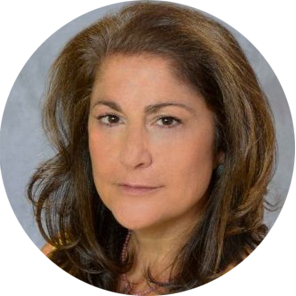 Lynne Palmer Executive Recruitment is a boutique executive search firm, specializing in the publishing, new media, and medical communications industries. Lynne Palmer Executive Recruitment has been a leading force in providing the publishing and media industries with qualified professionals of all levels since 1964. In 1986, we grew to include the rapidly-expanding and exciting field of medical communications as well. As times have changed and the industry has evolved, our Agency has kept pace with the ever-growing need for industry professionals with expertise in communications and technology. Our recruiters are publishing professionals and active members of the media community, frequently speaking at industry events and consulted for articles and publications. We not only service the industry by recruiting and staffing companies nationwide with the best and brightest professionals, we are also proactive in keeping our clients informed of trends, changes, and other related issues. Susan Gordon is the President and Owner of Lynne Palmer Executive Recruitment. Prior to moving into top talent recruitment, she worked in the technology industry for Tymshare and served in talent acquisitions at Random House. Susan’s communicative style is consultative and honest, grounded in a deep understanding of the media and publishing industry. She understands that customer relations are the key to successful partnerships, and is known for her 24/7 commitment to dedicated, approachable service. Jackie Riley is the Executive Vice President of Lynne Palmer Executive Recruitment. Prior to getting into the executive search field, she was the Director of Marketing at a weekly business magazine in the tech space. Jackie brings an in-depth understanding and true passion for the media and medical communications’ industries to her searches. She consults and is creative with her client’s growing needs, as well as, an individual’s career trajectory. Jackie is comfortable at keeping stride with an industry that moves at a rapid pace whenever she accepts a search. When conducting a search, she makes herself accessible at all hours, depending on time zone and privacy. She functions at whatever level is needed for a successful outcome of any search she takes on.